This project involved a hillside lot and a high end home in Toronto. The installation was the first permanent soil nail wall used in Toronto. 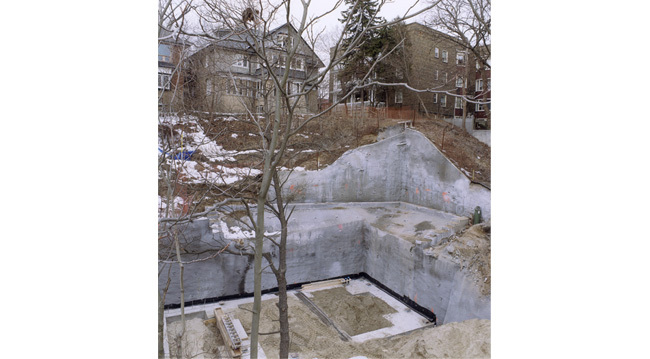 Micro piles were used to support a cantilever canopy on one level and HC Matcon completed the full excavation, shoring and footings as a package to the owner. 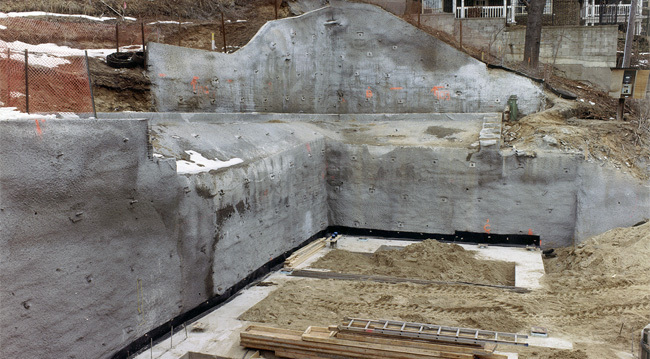 The shoring design called for over sized MAI bars due to low corrosive soil, and a 100 year plus life is expected. 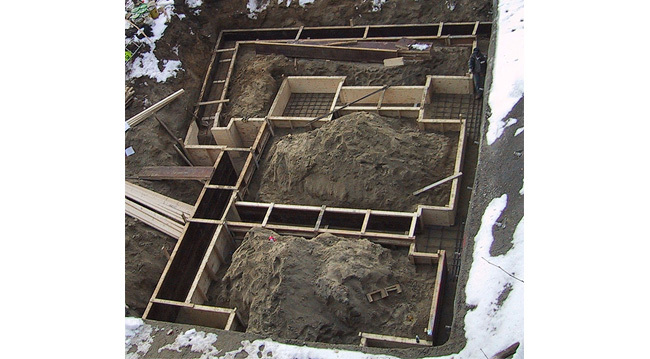 The house construction is wood framed which was a lower cost than steel/concrete in that hillside loads over time are taken by the shoring system, which is 150 mm from the house walls. 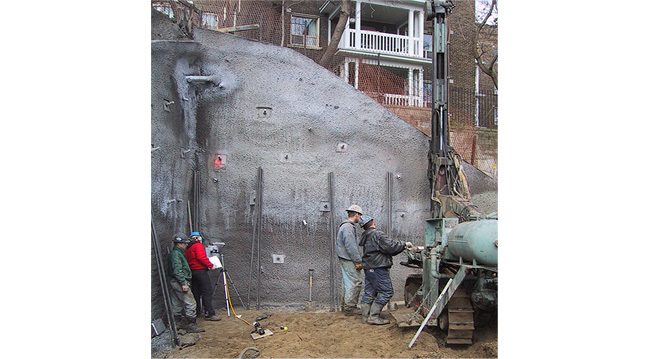 The advantages of shotcrete shoring include smaller equipment to access and do the nails, as typical shoring solution involved large equipment and high costs to build working berms on a hillside lot. Owners of land that was typically considered unsuitable as building lots can re consider and realize hidden value with permanent soil nail walls constructed by HC Matcon. HCM is a full service Design Build Specialist contractor.